You are here: Home / Teacher Compensation and Classification / FLSA Changes are Coming: Are School Districts Ready? FLSA Changes are Coming: Are School Districts Ready? 1. The possible changes discussed in this article were announced as a final rule in May of 2016 and will be enforced beginning December 1, 2016. 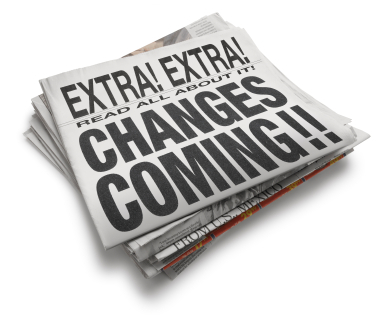 Read our most recent article on FLSA changes here. 2. We recorded a special podcast on FLSA Changes for School Districts to help school leaders with this topic that you can download and listen to. 3. We have put together a bundle of resources to help school districts prepare for FLSA changes. Request these resources by clicking the link below. How many hats do you wear as a school leader? You are expected to be a curriculum expert, budget and finance expert, school safety expert, community relations and planning expert, student discipline expert, and a human resource expert. (I am sure I have forgotten a few). The subject matter topic today will beckon you back to your graduate or post-graduate classes on school law or human resources. Unfortunately there are portions of this article that are as exciting as the technical manual to your office printer, however the discussion below highlights upcoming changes to federal regulations on how school districts compensate employees and could have tremendous implications for school districts. Our objective in this article is to create greater awareness and help proactive school leaders get ahead of possible changes to wage and hour laws that could have a tremendous affect the human resources and budget aspects of your school district. Over the last several months, there has more and more buzz in the Human Resources field about possible forthcoming changes to the Fair Labor Standards Act (FLSA). The Huffington Post recently wrote about proposed changes to FLSA. Here’s a quick review for those who may need a refresher. FLSA regulations dictate how employees are compensated. These labor laws establish guidelines for minimum wage and overtime unless the employee meets one of the allowable exemptions. There are a few hurdles or “tests” that an employee must meet to be considered “exempt” under FLSA. In most cases, the exemptions have both a salary test and a duties test. (Here is more specific information on exemptions for those who are interested). On the salary side, many exemptions require the employee to be paid at least $455 per week, which is $23,660 per year. This issue alone gets districts across the country in hot water. Many districts take a non-certified employee’s hourly rate, multiply it by the expected number of hours in a school day and then multiply that number by the number of school days in a year to come up with a “salary” for the non-certified staff member. While this may be easier for the payroll department, it is a ticking time bomb for the district’s legal and public relations departments as these non-certified employees are often asked to take on duties, such as supervising students, that occur before the contracted work day begins, or after the end of a typical work day. The Wage and Hour Division of the Department of Labor (DOL) does not care about the convenience of a school district’s pay practices. Their job is to investigate claims and ensure employees are compensated appropriately with respect to their true classification (based on an accurate job analysis). Job titles for school district employees alone do not protect the school district.To determine if an employee is “Exempt” under FLSA it boils down to what primary duties/ work the employee is actually performing. In short, district employees’ actual job tasks must be evaluated, along with how the particular job tasks “fit” into the employer’s overall job function or purpose. School administrators may be familiar with the “Learned Professional” exemption which provides an “exempt” classification or status for positions such as teachers, lawyers, and nurses, where the employee performs work requiring advanced knowledge in a field of science or learning which is customarily acquired by a prolonged course of specialized intellectual instruction. Another exemption, the “Executive” exemption, generally covers school administrators, such as Principals, Superintendents, and others who manage your School Districts operations and supervise at least 2 full time staff members. There are also exemptions for “Computer”, “Outside Sales”, and “Creative Professionals”, which, with the exception of Computers professionals, are less common in school districts. Hopefully by now your eyes aren’t glazed over due to boredom and you are up to speed on how FLSA affects school districts. There is, however, one more exemption you should be aware of, the “Administrative” exemption. It is arguably the most complex exemption of all and is widely misunderstood and applied incorrectly leading numerous lawsuits in school districts every year, like this school district in Illinois who had to pay unpaid wages and overtime in this lawsuit under FLSA. Regulations under the administrative exemption require the “exercise of discretion and independent judgment with respect to matters of significance.” Understanding what exactly this means can be difficult even for seasoned HR professionals to define and put in simple terms. In short, just because an employee performs administrative work, it does not mean they qualify for the administrative exemption under FLSA. I won’t try to get into the weeds of explaining the further intricacies of FLSA and further, but rather focus on what changes may be on the horizon and what your school district needs to start doing to prepare for significant changes to FLSA. Upcoming changes to FLSA could have major financial and operational implications for school districts. Read this next section carefully to determine how these changes may apply to your district. If you have specific questions regarding your particular district may be impacted, we would suggest you contact your district’s attorney. In a recent article published on SHRM’s website, (Society of Human Resource Management) several possible changes to FLSA guidelines were shared with human resource leaders by the former Department of Labor (DOL), Wage and Hour Division Administrator, Tammy McCutchen. The changes Ms. McCutchen discussed were originally expected to come out last November; however that date was delayed and most people within the HR community expect FLSA changes to be pushed to any day time in the very near future. I know that’s pretty vague, but there have been few hard deadlines, likely due to the complexity of the implications of these changes. Most expect the proposed changes to FLSA be rolled out to school districts and all other employers no later than this summer and as early as the end of February. One possible change is raising the minimum salary level (under the “salary test”) from $455 to $970 per week or $50,440 per year, a 113% increase. (Update from the DOL Final Rule: The DOL has set the new salary to $913 per week or $47,476 annually). This change alone is significant, albeit probably the easiest to forecast where issues exist and determine how to correct based on current classifications. Unless the application of the salary test changes, this new salary threshold would not impact teachers as the salary and salary basis requirements do not apply to bona fide teachers. Given the nature of teachers’ work and that roughly half of all teachers nationwide earn less than 51K, it seems unlikely that this would change. With that being said, there could be many other positions that are currently classified as “exempt” that could be affected. We may also see revised definitions or more examples of what kind of computer employees are or are not covered under the “Computer” exemption. This is welcome news as the field of technology is rapidly changing and districts were left to make their best guess which positions were classified as exempt and which should remain non-exempt. To give an example, a school district Finance Analyst who spends 35% of their time doing exempt level budgeting and procurement work and 65% of their time doing non-exempt accounts payable work would no longer be cover as “exempt” under the expected new FLSA rules. If put in place under these conditions, employers would significantly expand the range of school district employees who receive overtime pay. In my opinion, this change poses the most burden on employers and human resources professionals. Quantifying how much time an employee engages in each of their job duties is an arduous process and cannot be accomplished by reckoning or rough estimations by managers alone. To withstand the legal challenges that follow wage and hour disputes a formal job task analysis processes has always been recommended and becomes imperative under these new regulations. As discussed in prior posts, it is critical that school districts have up-to-date and accurate job analysis information for all your jobs within the district. The job analysis captures exactly what duties the employees perform in their job roles as well as the portion of their work day or week they spend performing those tasks (Which will be critical information to have on file once these new changes are put in place). Remember, duties determine whether an employee meets one or more the defined FLSA exemptions; not job titles, not what the 10 year old job description says they do, but what they actually do currently in their everyday work. If and when you have the pleasure of being audited by the Wage and Hour Division of the DOL, they most likely won’t simply ask for a copy of your job descriptions and leave; they will interview and observe your employees to see exactly what they do and compare it to the current classification and behaviors listed on the job description. I know you are probably tired of government enforced acronyms by now, but there is one more reason you should have recently updated job descriptions, ADA compliance. The Americans with Disabilities Act (ADA) ensures employers do not discriminate against employees due to disabilities. As you likely know, as long as an employee can perform “essential job functions” with reasonable accommodations for their respective jobs, they cannot be denied the opportunity to work in their role. So how are “essential functions” determined and where do you find a listing of those essential functions for each job? You guessed it, job analyses and job descriptions. 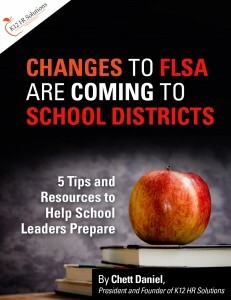 What Leaders Can Do to Prepare for FLSA Changes in School Districts? If your most recent job analyses are older than 5 years, you most likely don’t have current enough information on hand to compare against the new FLSA regulations to see where you stand. Furthermore, if the job analysis methodology used in the past did not capture the number of hours the employee spends doing each duty/ task, you likely don’t have sufficient information collected to see if those “primary” exempt duties are performed at least 50% of their time. Start reviewing your job and personnel data to determine which of your jobs and employees are categorized as FLSA exempt or non-exempt. For the jobs that you have marked as exempt, we recommend analyzing your job files to determine when the last job analysis was conducted for each job. If you currently have HR staff members trained in job analysis methodologies and the capacity to start reviewing your jobs in-depth, you may want to start reviewing jobs that have the most people in them as soon as possible. Additionally, you will need to go through existing job descriptions and find the most dated job information and update those as soon as possible. How Can K12 HR Solutions Help? We realize that reviewing job data, conducting job analyses, rewriting job descriptions, and making recommendations to school district FLSA classification decisions is not something that most district administrators have neither the time, expertise, or desire to do. Many districts may not have full time HR members on staff or the job analysis tools to collect updated job information, or even if you do they may not be comfortable collecting and analyzing the data used to update job descriptions and make recommendations to school district FLSA classifications. That’s where we can help. Our cloud based Job Analysis Software (JAS) collects the critical information districts need for accurate job descriptions and to determine proper employee classifications. Our software collects information related to employee job tasks, the frequency and importance of those tasks, and the knowledge skills and abilities used to perform their tasks as well as working conditions, and physical abilities required for various positions. While administrators spend their time learning how to create more effective schools, we spend our time developing methods to make the human resources side of your business less confusing, more efficient, and more effective. Our team of human resource professionals have partnered with talented software developers to tackle the complexity of the job analysis process. The JAS solution provides a high tech yet simple and user friendly interface that can be accessed by employees, supervisors and subject matter experts on the web from a PC, laptop, tablet and even smartphone and stores the data on cloud based servers. Our JAS software can even be used to provide recommendations for pay grade/ salary level determinations and to develop job descriptions which can be used for your recruiting, job selection tools, performance management/evaluation purposes, as well as providing a road map for professional development as your own staff members identify the tasks that are most essential to effective job performance. We have spoken with school leaders across the country to ensure we go far beyond the minimum requirements of capturing information needed for human resource policies and practices. 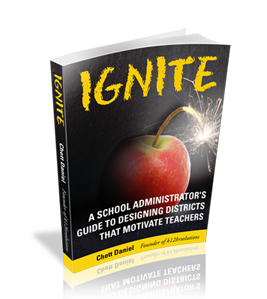 We also want to ensure our software provides district leaders with the strategic information needed to run their organizations even more effectively. We would add that school districts should be proactive rather than waiting for the changes to come down the pipe. First, begin to ask questions about the job descriptions your district uses. How current are they? How was the information collected? Do the job description tasks quantify the percentage of time the employee engages in the tasks (or duties) that were used to make classification decisions? Finally, ask how your job descriptions are being used. Are they simply being used to post positions, or used strategically throughout human resources. The final way you can be proactive is to contact the professional associations you belong to as well as your elected representatives to let them know how these changes could impact your district financially. The changes discussed in this article are akin to “reading the tea leaves” based on conversations taking place in the policy making and legislative realms as well as human resource circles. It is not too late for you to make your voice heard and to get prepared for seemingly inevitable changes. If you have additional questions or would like us to provide a quote for updating your job descriptions, simply click on the button below or contact myself or Chett to learn more how we can help you prepare for this coming FLSA storm at info@k12hrsolutions.com.